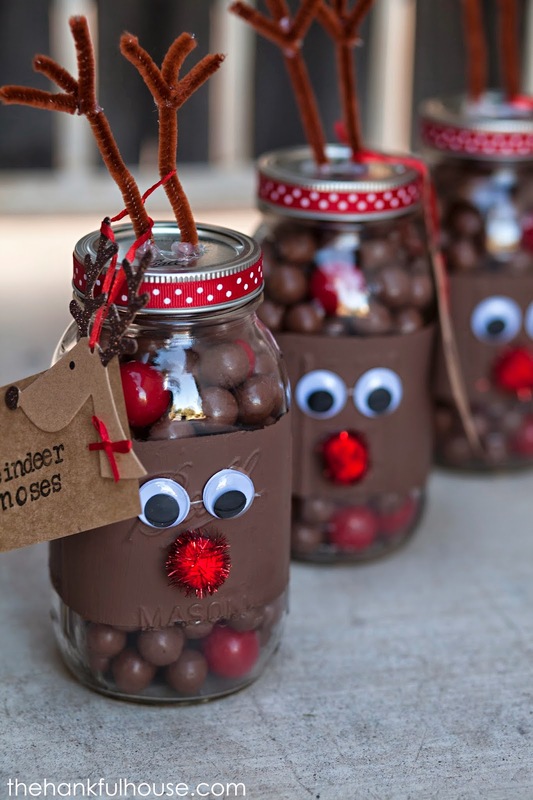 Here are some last-minute recipes and craft ideas to share with you, our amazing friends! Enjoy the holidays! The ‘Saran Wrap Ball’ Christmas Party Game Is A Must! There are all sorts of interesting and fun games you can play at your #Christmas party, but this one is super duper fun! Make sure to put the best gift in the middle and remember…you can be creative and make this ball of Saran Wrap as big as you want!!! Maybe use just one of the dice and pick a number that has to be hit in order for the ball to pass to the right! Try wearing winter gloves or mittens while unwrapping to make it that much more difficult! Use Press and Seal wrap to make it a tad more challenging! 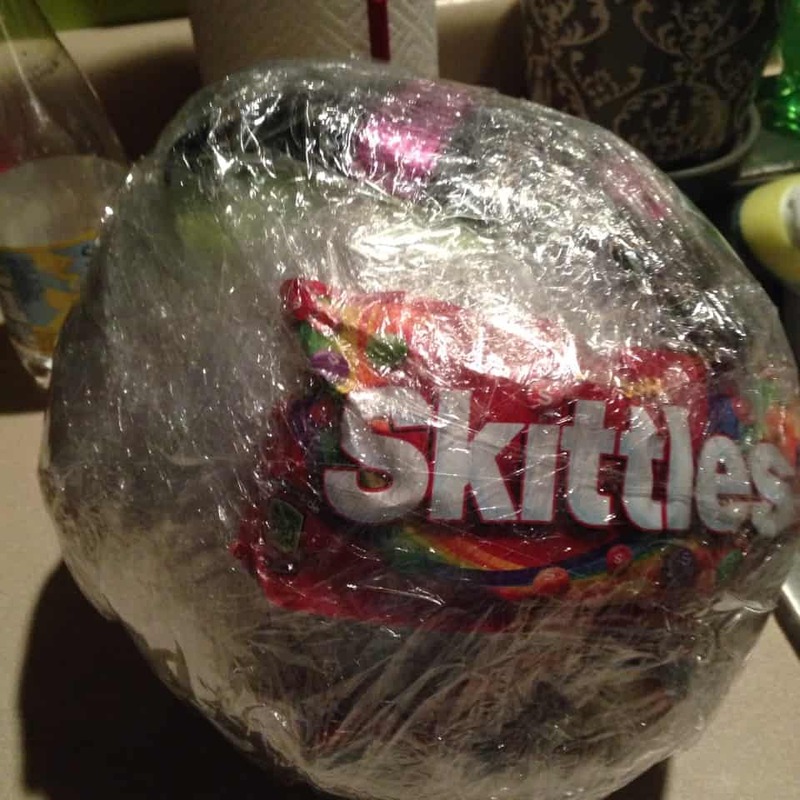 When making the ball, you can use one solid strip of Saran Wrap or individual pieces. If using individual pieces, try going every which way with the pieces to really make it challenging to unravel! If you have a large group, try using two large balls and start them on opposite ends of one another! 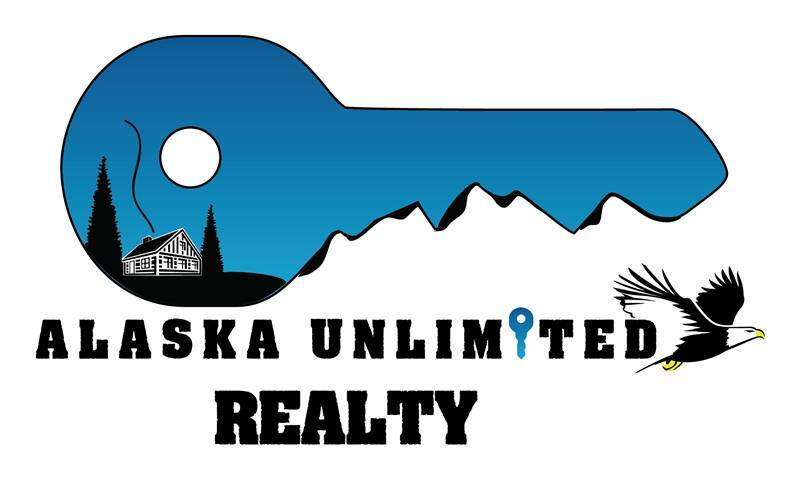 Place a blindfold on the person who is unwrapping, that will only make it that much more exciting! Melt Vanilla Candy Melts in a microwave safe bowl on 50% power in 30 second intervals, stirring after each interval until melted and smooth. Drizzle half of melted chips over popcorn mixture, then stir, tossing gently a few times with a rubber spatula. 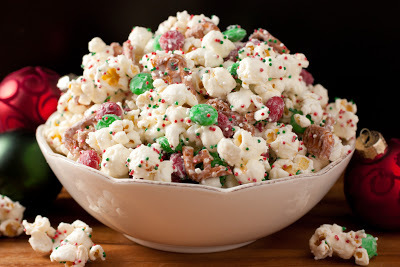 Then drizzle remaining half of melted chips over popcorn, and gently stir mixture until evenly coated (don't over stir though or your sprinkles wont stick if the white chips begin to set and harden). Pour mixture into a single layer onto wax paper. Sprinkle entire mixture evenly with sprinkles (as many as you'd like) before vanilla chips set. 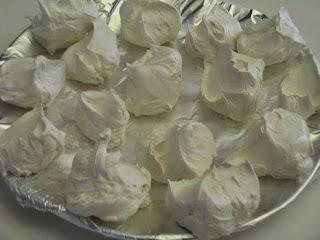 Allow to cool and harden, then gently break into pieces and store in an airtight container.